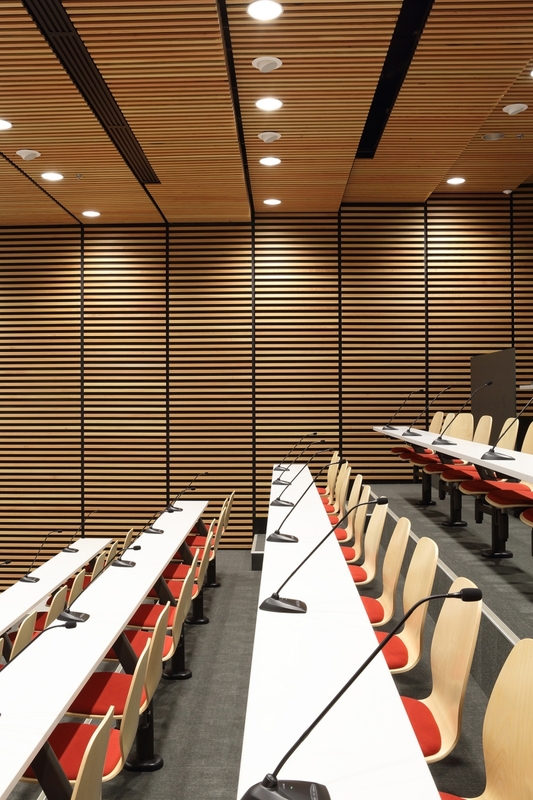 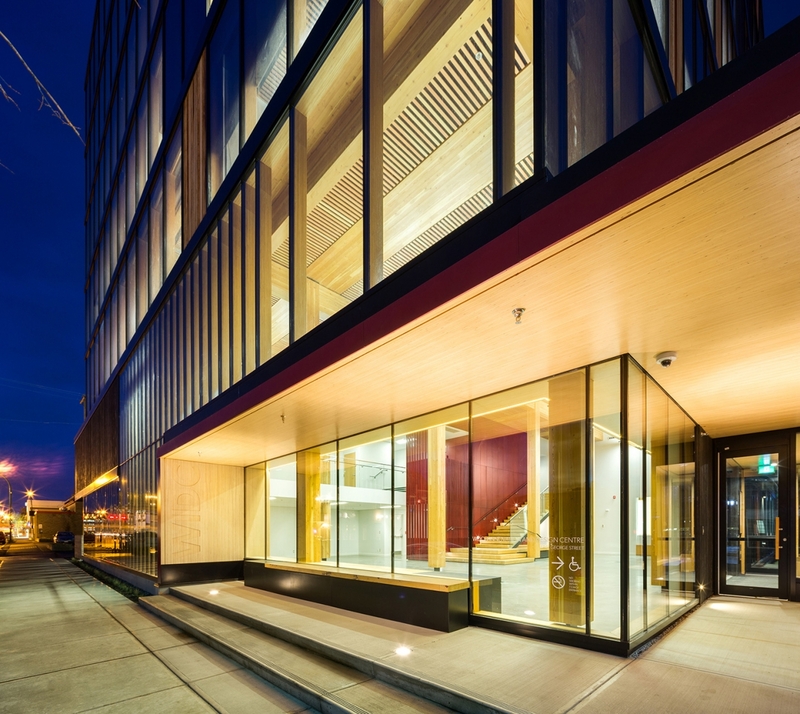 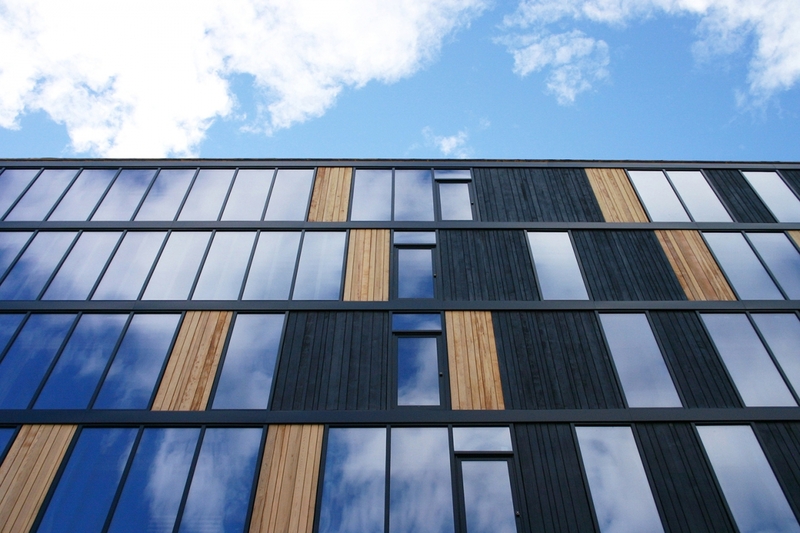 As the first tall wood building in Canada built beyond current building codes, WIDC is a demonstration project for the future of building in wood. 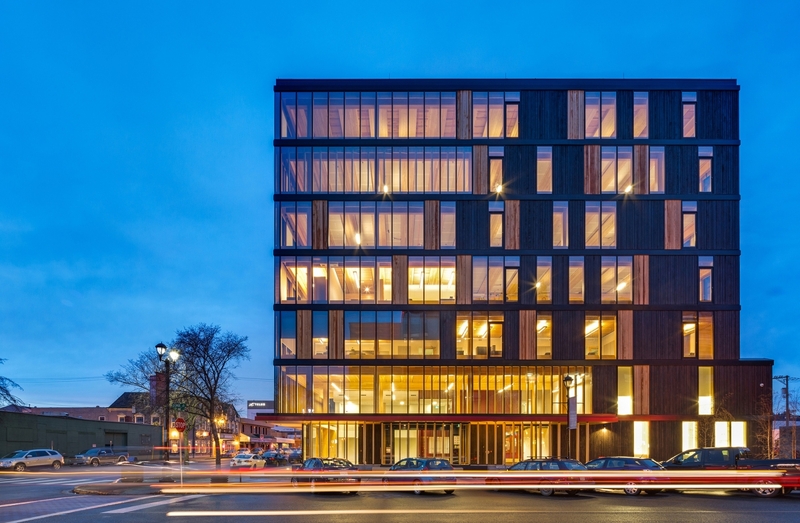 The eight-storey building (six storeys plus mezzanine and penthouse) stands 29.5 metres tall, making it North America’s tallest contemporary timber building. 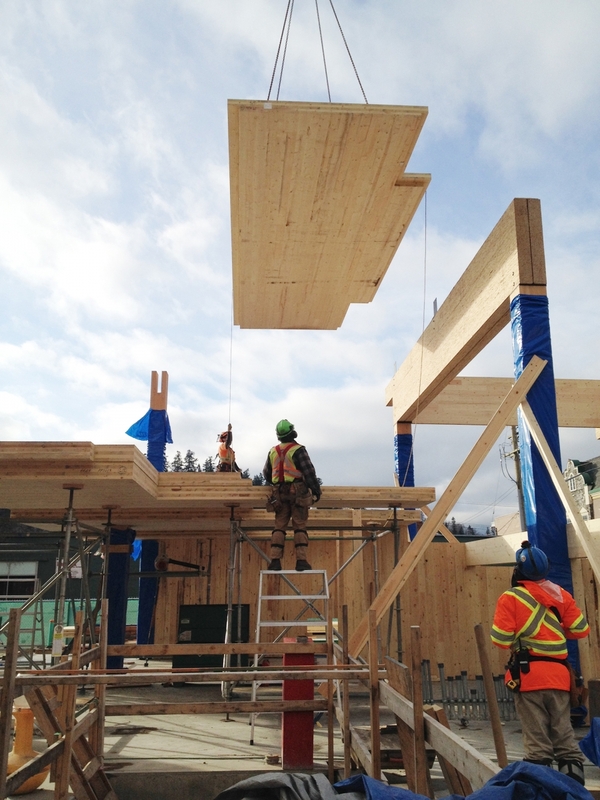 To prove that all life safety requirements could be met, the project team conducted extensive mock-ups, testing, and detailed studies. 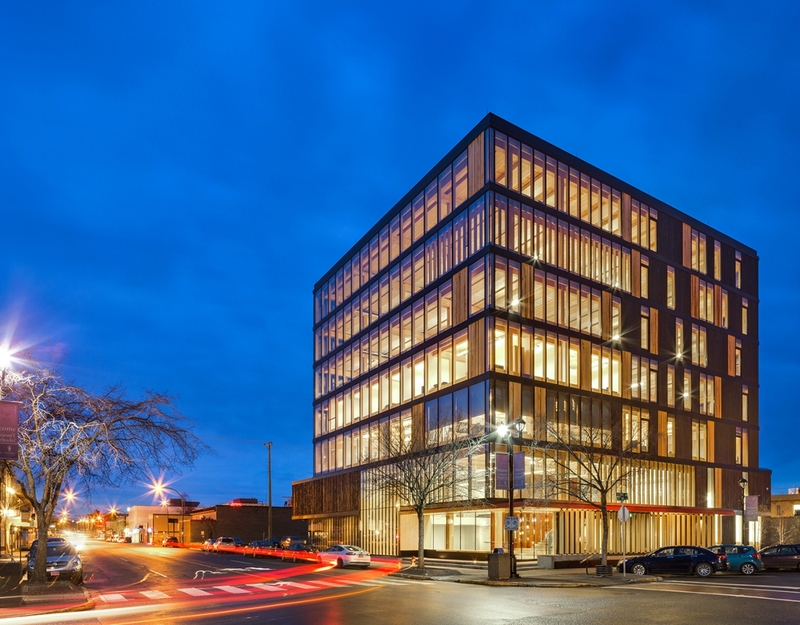 MGA sought to demonstrate economical, repeatable technologies for building high-rise structures with timber, hoping to inspire institutions, private sector developers, and other architects and engineers to embrace this way of building. 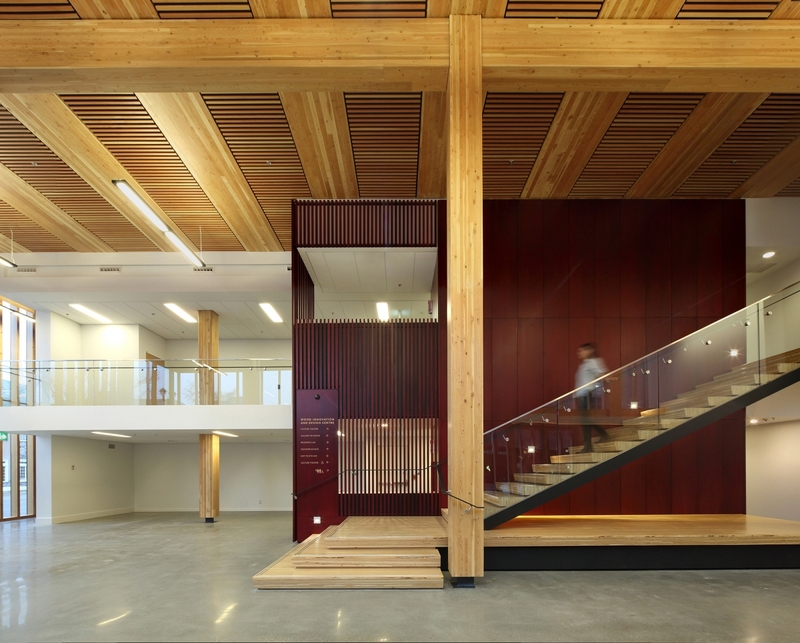 The firm argues that building with wood sourced from sustainably managed forests offers designers a rapidly renewable, low energy, and carbon-sequestering alternative to conventional building materials. 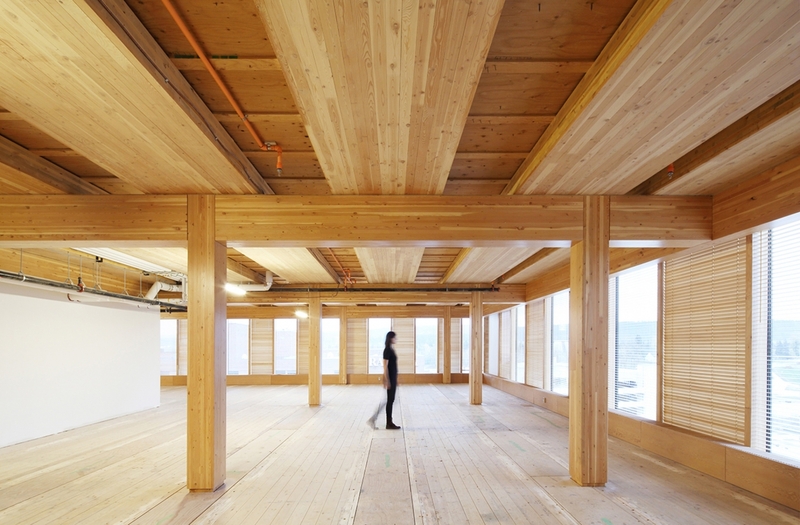 Greater use of timber for large structures would significantly reduce greenhouse gas emissions worldwide. 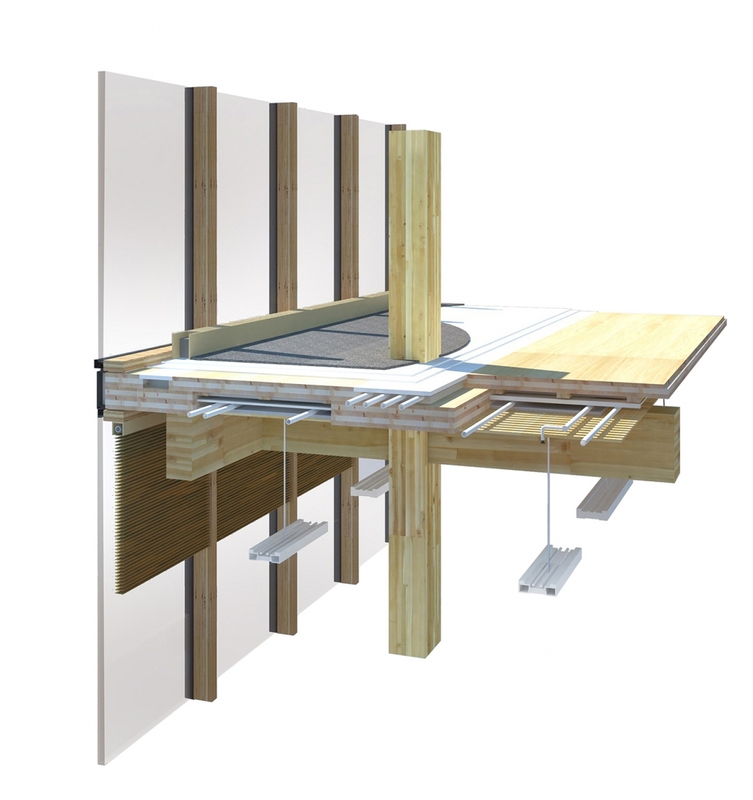 They “demonstrate processes of innovation that are founded on patience and discipline,” the jury said.